Have a bucks or hens day that is completely unforgettable. It’s a day like no other. It’s a day where you can give that special someone the send off they deserve. They’ll enter their marriage full of hope, love, and memories of their special day at Delta Force Paintball. 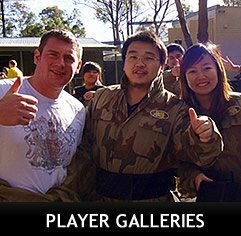 A bucks day with Delta Force Paintball is a day that you and your mates will never forget, we can promise you that! Whether you come for the whole day, or just a few hours, We can promise to give your team of paintball warriors a paintball experience that you’ll talk about for years to come. Get him in a tutu and get him on the field! We love seeing our bucks and hens party get excited about their day out, and we love seeing you in costume, so get your tutus and get playing! If you want the paintball day to be truly special for that certain someone, just point them out to the marshal and we’ll take care of the rest!